Practice begins the first week of August. We practice Tuesday-Thursday in the evening outdoors at Melican Middle School. Once school begins we will practice indoor 2-3 times a week in a Northborough or Southborough school. Practice is usually 1 1/2 hours-2 1/2 hours. 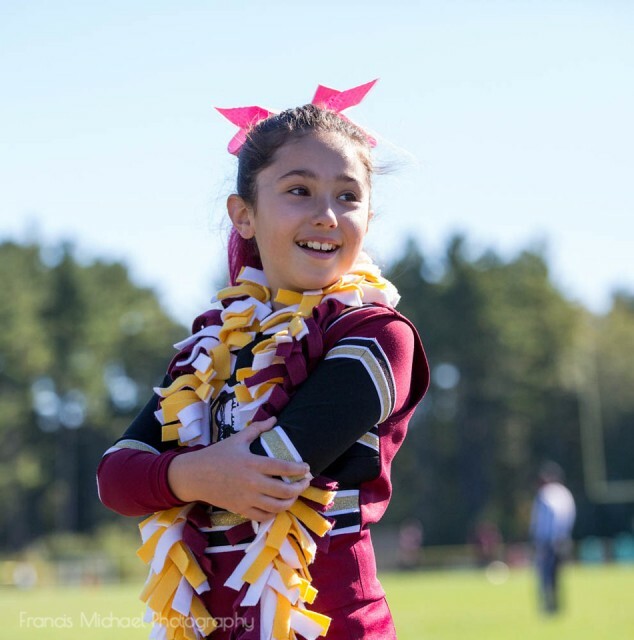 Each Cheer Division is assigned to 1-2 youth football teams to cheer for. Games will be held once a week on Saturday or Sunday. All home games are played at Algonquin High School in Northborough. Away games locations are determined based on the team we are playing. Cheerleaders will be loaned a uniform, cheer bag, and warm up suit. All these items will need to be returned at the end of the season. If items are lost or damaged the parent is responsible for repaying the league. *** All items will need to be returned at the end of the season. If items are lost or damaged, the parent or guardian will be responsible for repaying the league. Approximate cost for all items is $175.00.